Created specifically for not-for-profit organisations, our unique 9-month guaranteed buy-back will reduce the cost of your owned and leased vehicles. Take advantage of our fleet-buying power and begin your new lease with a deep discount that saves your organisation thousands on the purchase price of vehicles. With vehicles returned before the first service is due and while under the manufacturer’s warranty, you’ll minimise depreciation and maintenance expenses. We’ll source your new vehicles and organise any required finance. Vehicles are delivered to your drivers and the trade-backs are collected at the same time. Our operating lease allows you to take the pressure off your cash flow and simplify your finances, while meeting demand. We’ll provide you with a tailored finance solution, and we’ll never lock you into a single model. Free up cash flow with a fixed monthly payment that replaces the need to fund up-front purchases and removes the risk of loss on disposal. Choose a tailored solution to suit the unique needs of your business. You’ll never be locked into a single finance model. No matter how much of your fleet is owned or leased, we can manage your fleet as one and customise reports to meet your internal requirements. 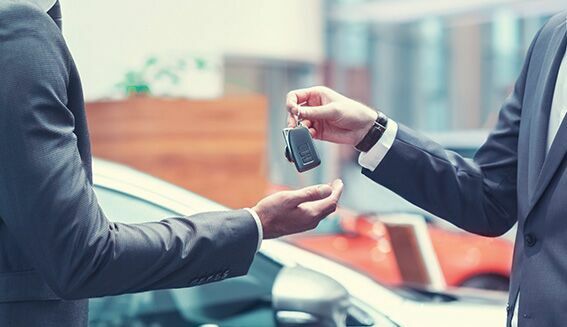 At the end of the lease, replace the vehicle, extend the term or take advantage of ‘buy-back conditions’ to return the vehicle, depending on your business needs.